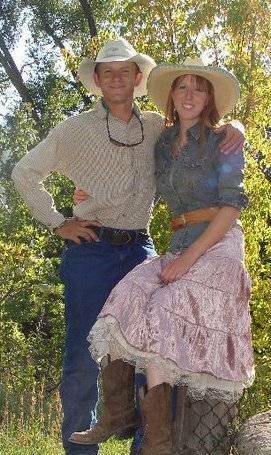 Energetic, willing, hard working professional ranch management couple ready to exceed your expectations! Our background is in luxury guest ranch and estate management, ie: all aspects of facilities and maintenance, horse care and training, outfitting and guiding guests, high-end marketing, advertising and reservations, staff management, haying/irrigation, cattle work and more. We pride ourselves on developing a good working relationship with owners, anticipating what needs done and doing it. Husband has worked as Activities/Recreation Director, Ranch Foreman, excellent mechanic, professional hunting and fly fishing guide, log and home construction. Wife is a professional horse trainer, lesson instructor/barn manager, reservations and marketing, strong writing background, personal assistance and staff management. We are outdoors people who love the Rocky Mountains and are well-adjusted to the long hours of ranch work. We are cheerful, focused, and looking for a long-term opportunity.